The spore gallery compares the spores of all species found in the Pacific Northwest except Phymatoceros bulbiculosis. Phymatoceros is readily recognized by its stalked ventral tubers; sporophytes have not yet been seen on this species in Oregon. 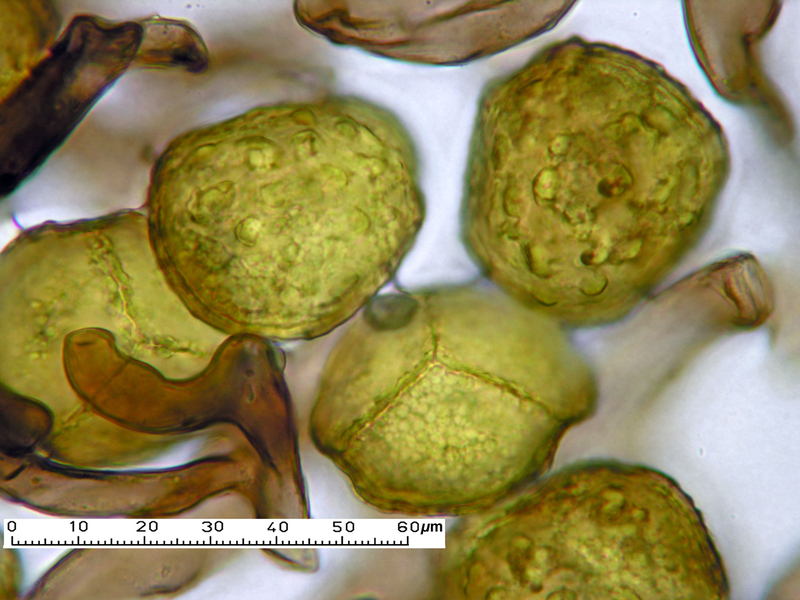 All the other hornwort species require study of spores for positive identification. 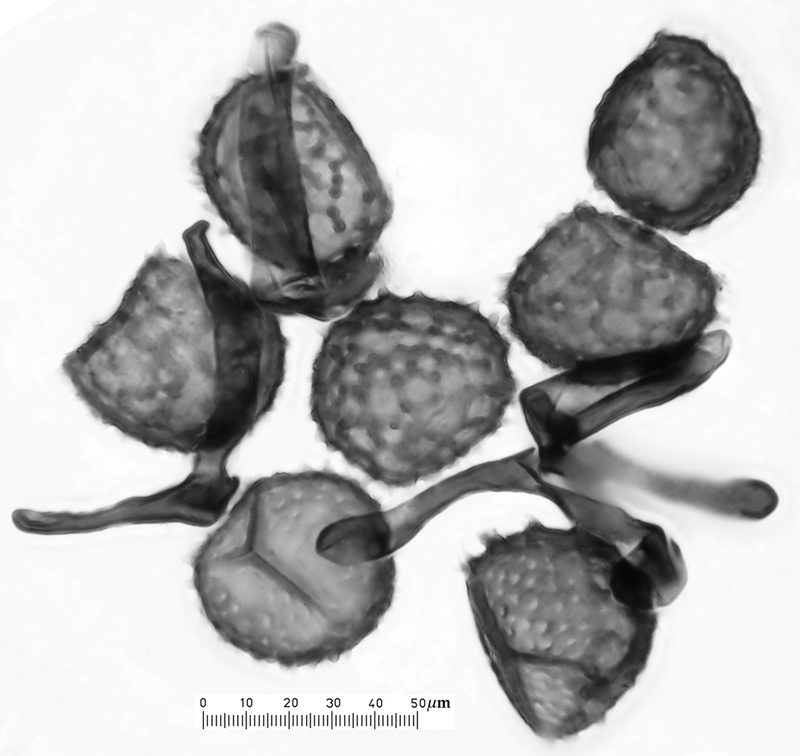 This gallery provices a quick look at spore morphology in one place. Click on a picture to see an enlargement of that image. 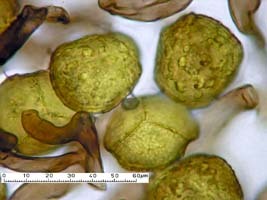 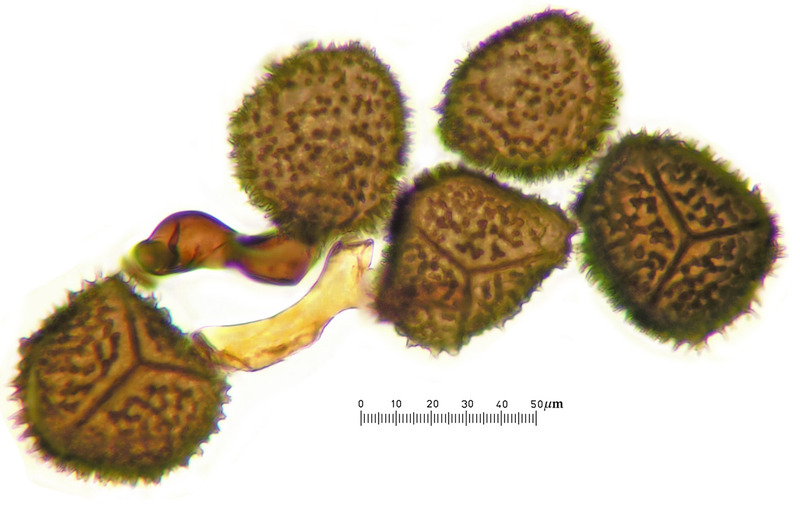 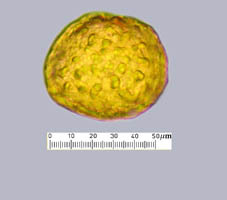 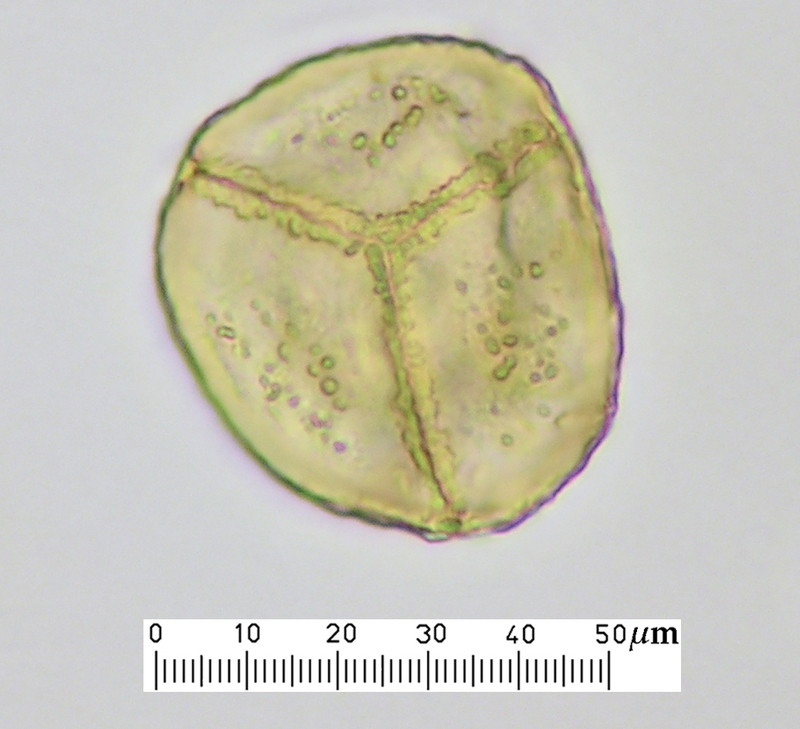 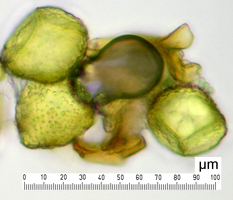 Additional photographs of spores may be found in the species pages. 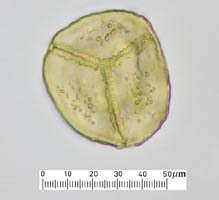 Click on the name under a picture to link to the species page.